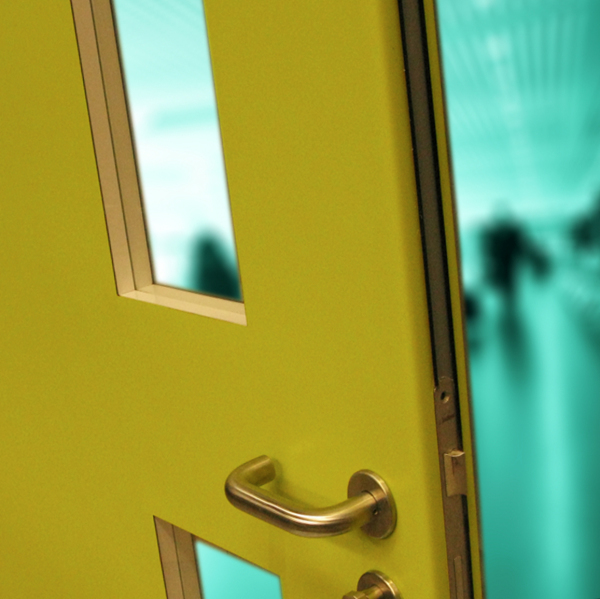 Lewis Aldridge is able to provide unlimited colours and finishes to door sets to enable you to create the desired look whilst meeting the high performance requirements necessary in educational establishments. Where additional security is required in areas such as IT suites, steel plates can be applied AND THEN HIDDEN under the laminate or PVC finish to maintain the aesthetic look of the area. 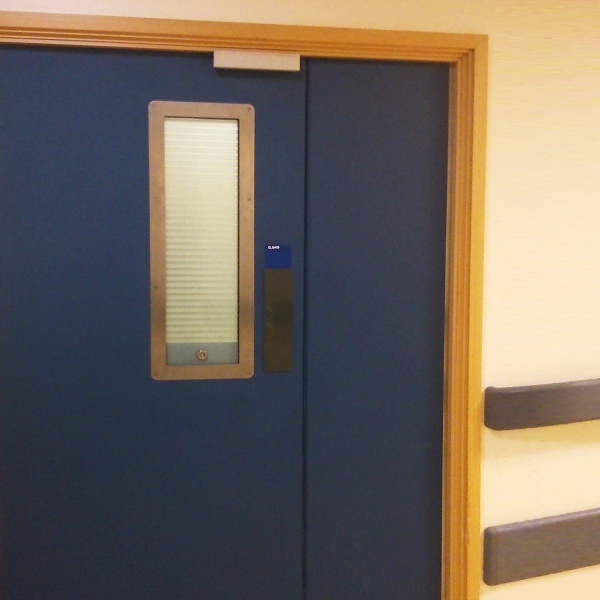 Vision panels, anti barricade and anti finger-trap devices can all be factory fitted. A number of new door leaves were required to replace existing ones. The doors were situated at the entrance to two lecture theatres and a number of seminar rooms and staff rooms. The brief called for leaves to fit the old frames. No two frames were the same size. Other requirements were to have patterened sand blasted vision panels and PVC edge protection. Lewis Aldridge was able to provide all of the above and deliver well within the required time frame. A large number of paint grade door sets needed to be installed quickly on site in time for the next school year. Lewis Aldrige provided the door sets pre-hung and with the doors prepped to receive locks, latches and levers. At the last munite it was realised that in another part of the building 3 fire rated panel doors were required TO MATCH THE EXISTING. We were able to visit the site, copy the beading and create the appropriately rated doors.